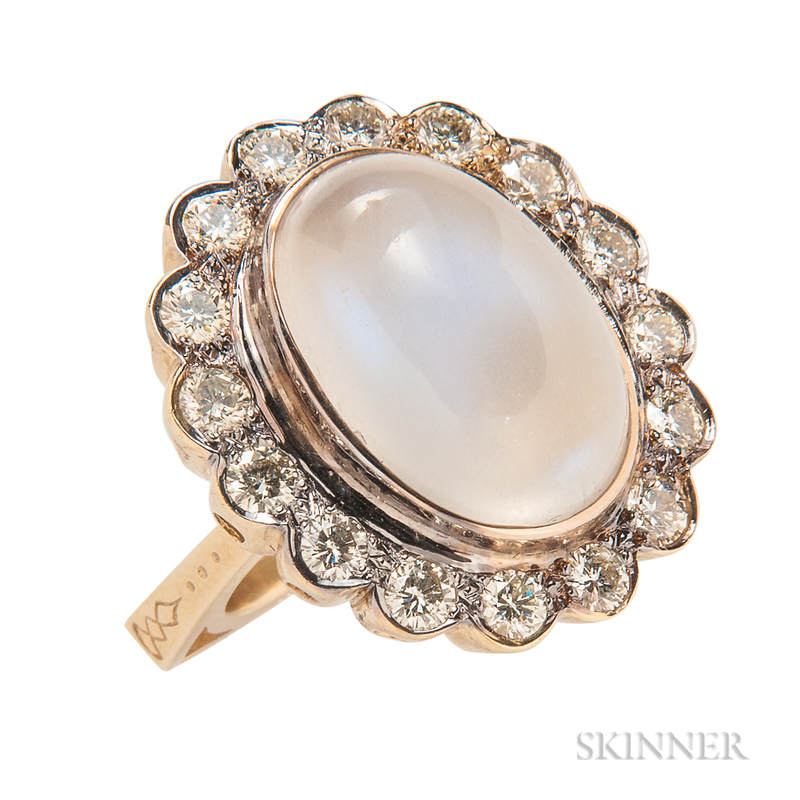 18kt Gold, Moonstone, and Diamond Ring, the oval cabochon moonstone measuring approx. 19.50 x 13.00 mm, framed by full-cut diamonds, approx. total wt. 1.50 cts., size 7.